Heinemann Educational Books, 9780325002903, 432pp. Shelley Harwayne has been rethinking the teaching of writing ever since she opened the Manhattan New School ten years ago. There, as principal, she had the unique opportunity to follow her students' growth as writers from the very first day they entered kindergarten through graduation six years later. Now, as superintendent of her New York City school district, Shelley continues to take a hard look at the teaching of writing across schools and throughout the grades, questioning what has become traditional practice. 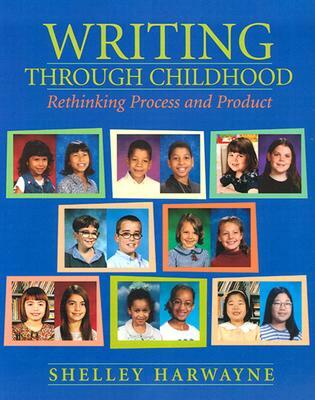 Does my writing workshop support the notion that writing during childhood is different than writing as an adult? How can I tap into the interests and attitudes young students bring to the writing workshop? How can I approach revision with children's sensitivities and strengths in mind? Are the genres I've been assigning really appropriate for young writers? How can I help young writers make deliberate and long-lasting connections to the literature they read? How can I simplify publishing so that children joyfully and frequently publish high-quality work? In this volume, the third in a trilogy that includes Going Public and Lifetime Guarantees, Shelley provides a close-up look at the subject that has meant the most to her. Her special insight and discoveries will challenge all educators who are involved in elementary writing. Shelley Harwayne was affiliated with the New York City public schools for more than thirty years as a teacher, staff developer, codirector of the Teachers College Writing Project, founding principal of the Manhattan New School, and superintendent of District #2 in New York City. She has worked as a consultant and keynote speaker throughout the world and has published numerous books and videos with Heinemann including Learning to Confer (2004), Writing Through Childhood (2001), Lifetime Guarantees (2000), Going Public (1999), Lasting Impressions (1992), Living Between the Lines (1990), and The Writing Workshop: a World of Difference (1987). In addition, Shelley has published two children's books: Jewels and What's Cooking?.